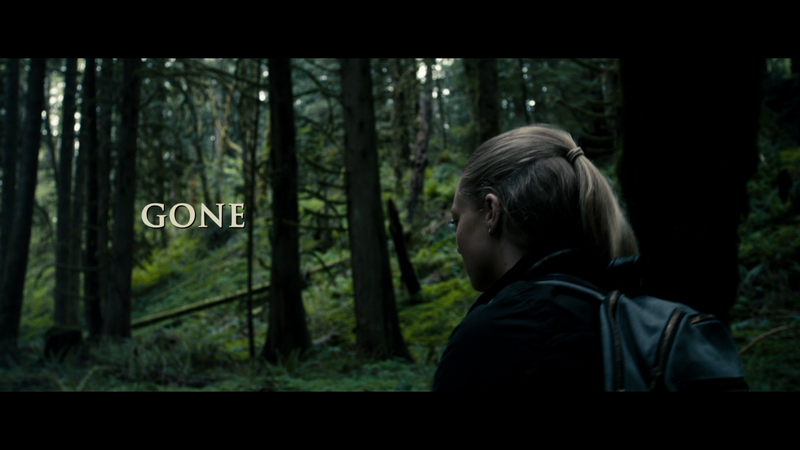 That is the generic tagline for the Gone, the latest vehicle for rising star Amanda Seyfried, whose career has been on the uptick since Mamma Mia and Jennifer’s Body in 2008 and 2009 respectively. Since, she’s had some high profile movies (Red Riding Hood, In Time) with, at best, mixed results. This suspense-mystery showcases what Seyfried can do with a limited script. In the present day, she’s living in a nice house with her sister, Molly (EMILY WICKERSHAM), who is in college studying for a big exam held the next day. She’s also a recovering alcoholic and gets annoyed with Jill because in her spare time, Jill goes to forest and marks off areas in the hopes of finding where she had been kept. Jill works nights at a local café but when she returns from work, and despite the important test, she discovers that Molly is missing or, I should say, GONE! She frantically searches the house but there’s no sign of her sister. All her clothes are still in their place and the pajamas Molly had been wearing were nowhere in sight. She also finds an heirloom diamond earring on the ground, something Molly would not have left behind voluntarily. After contacting the boyfriend (SEBASTIAN STAN), which goes right to voicemail, she rushes off to the police station only to be met with what would be best described as skepticism as they’ve dealt with Jill many times in the past. She frantically tells them she’s sure the person who took Molly was the same person who kidnapped her. However, the station lieutenant (MICHAEL PARE) and two detectives, Powers (DANIEL SUNJATA) and Lonsdale (KATHERINE MOENING), have little time to hear her story and work hard to poke holes in it. 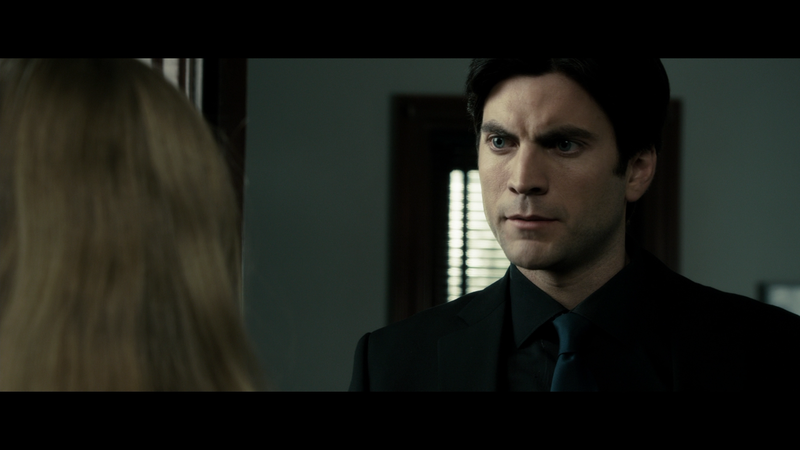 However, newcomer to the unit is Detective Peter Hood (WES BENTLEY), who seems to believe her story far more than the others and gives her his card. With the police unwilling to help and thinking she’s batsh*t crazy, unfolding via flashbacks, Jill goes it alone tracking down clues to Molly’s whereabouts. She begins at her reclusive neighbor who doesn’t sleep and saw a locksmith van outsider her house. Using that and his description, Jill does some all too simple Google searching (I’m glad they used Google than some lame made-up search site) and manages to locate the company where she meets the owner and his oddball son, Nick (JOEL DAVID MOORE) who, at gunpoint, reveals he had lent out the van for a couple hundred bucks to a guy he knows only as “Digger”. Inside the van she finds a receipt to a hardware store where the purchaser bought rolls of duct tape and some tarp. 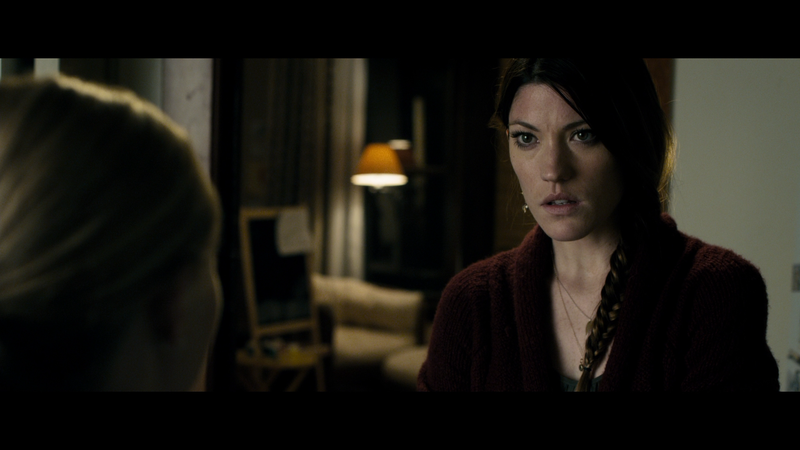 Being the novice detective she is, Jill follows the clues, trying to get the identity of the apparent kidnapper. Thanks to her reckless behavior and the fact she has a gun the police are now out for her before she causes anymore chaos on the streets. So with the police on her tail and Molly still missing, by this point it has been confirmed she never showed up for her exam, she gets closer to finding a name and perhaps the man who has her sister. With her own experience, she knows that her sister doesn’t have time and could be dead by nightfall. After the movie was over, the first word that came to mind was, “lame”. The last act was a bit of a letdown, not that the rest of the film prior was a tour de force or anything. I felt it was all too simple and some of the promises made didn’t seem to payoff. But at the same time, given the inane twists that incorporate much of modern suspense-thrillers, thanks in part to M. Night Shyamalan’s The Sixth Sense, every screenplay needed something to keep the audience off balance. So after thinking about it some more, it was kind of refreshing to see a more simplistic ending. This is not to say it’s completely satisfying, but if it had ended with a twist, no doubt critics and audience members would’ve been rightly disparaging of it. First, Amanda Seyfried makes this movie; period, end of story. I’m not saying she turns in some brilliant, award-worthy performance (even a minor, MTV-like, one) but she seems to be able to overcome a screenplay which meanders through the middle section. It’s not common to see a newish talent being able to have the kind of commanding presence but Seyfried does it so well, playing a psychologically damaged character but rarely goes over-the-top with it. Next, the supporting cast is mostly useless playing either inept or utterly forgettable characters. You have police detectives who not only don’t take Jill’s concerns seriously, albeit I’m willing to cut some slack given her history, but are unable to get her into custody as she runs around town, borrowing cars and eluding police cars in the process; my experience watching hundreds of episodes of “Cops”, this rarely happens, so makes me wonder about the police and their skills. Guys, we’re not talking about some harden criminal here… Outside of those characters, which include Daniel Sunjata (most recently seen in One for the Money) and Wes Bentley (wearing his same wardrobe in Ghost Rider), Jennifer Carpenter of “Dexter” fame has a small role as Jill’s co-worker and Sebastian Stan (Captain America: The First Avenger) as Billy, Molly’s creepy/sly boyfriend. Neither one particularly stand out but performance-wise, they’re not bad and effective enough. Same goes for Bentley who was used in an interesting way, although I won’t reveal how only to say it’s somewhat laughable. The film was helmed by Heitor Dhalia and if you don’t recognize the name… well, that’s for good reason as this is his first American feature film after directing a few Brazilian flicks. I won’t say Dhalia is an especially effective director but between him and cinematographer Michael Grady (Faster), they are able to keep what is a thin script – from Allison Burnett who also wrote Untraceable and Feast of Love, both interestingly enough were also filmed in Portland where this story takes place – going at an even pace, never slowing down or dragging in some places. Gone at its core is kind of generic and if not for Seyfried’s rising star, should’ve been destined as a Lifetime Movie of the Week than a theatrically released feature film. Even so, clocking in at around 90-minutes, sans end credits, makes this a breezy film to get through that even when the plot gets a bit on the ridiculous side, still contains some entertainment value that doesn’t overstays its welcome. Sadly, not a single feature, not even the theatrical trailer… Only thing on here is a preview for Man on a Ledge and a BD-Live portal. Gone makes a break for it, right into the safe arms of Blu-ray. Presented in its original 2.40 widescreen aspect ratio, this 1080p high-def transfer looks great with sharp levels of detail, some fine black levels that don’t show any signs of artifacting and a color array that looks evenhanded, without going over (or under) the line. This is nothing phenomenal and probably on par for any new release. The disc comes with a 5.1 DTS-HD Master Audio track which isn’t anything special, but gets the job done, especially for a movie with a mixture of action, suspense and drama. The center channel is the most forceful with dialogue and central action while the front and rear speakers get used for the side action or ambient noises. The track as a whole isn’t predominantly aggressive since the LFE channel doesn’t kick in very much, but at the same time, it’s effective enough. Overall, there are many reasons I should dislike, even hate, Gone from the simple story to the one-dimensional supporting characters, but there’s something about Amanda Seyfried that elevates this from forgettable made-for-television drivel to semi-forgettable, slightly entertaining, direct-to-video release. For sure, that’s not high praise but I think if you’re a fan of Seyfried’s, then it might be worth checking out, especially for a slow Saturday afternoon. The Blu-ray has more than adequate audio and video transfers but there are no features, so on that front, it’s disappointing especially for a new release.